Project Managers opened their doors to friends and family of their employees recently, so that they could experience the AHEP project first hand. Staff and operatives’ family members at the Aberdeen Harbour Expansion Project had the opportunity to visit their loved ones’ workplace in an exciting day recently. 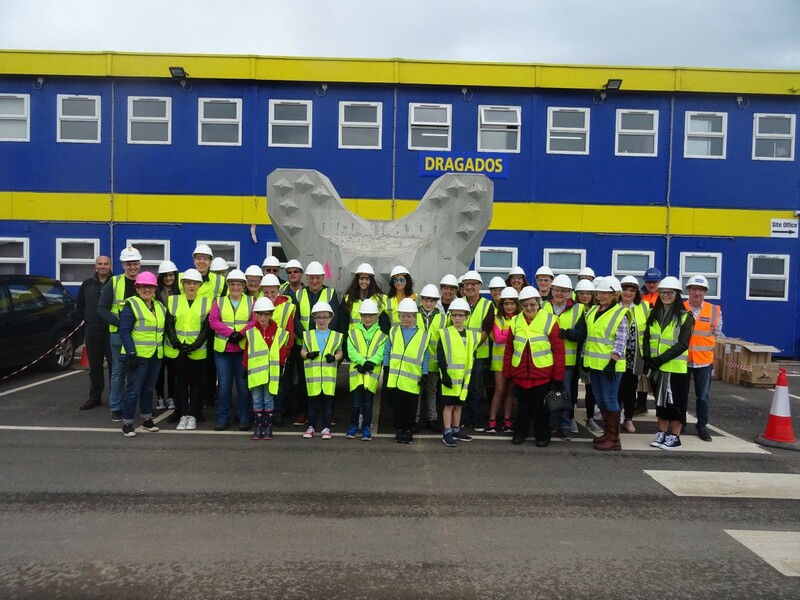 Partners and children of the employees at Dragados UK, Aberdeen Harbour Board , Doig + Smith and a range of subcontractors enjoyed a delicious breakfast and a site visit, which included the Accropode Production Facility and the Visitor Centre. 80 adults and 30 children attended the event after applications to attend had to be closed due to the popularity of the event. Children under 7 years old, who couldn’t visit the Accropode Production Facility, stayed at the site canteen, where they got their faces painted, made some slime and unleashed their creativity with loads of fun games. One of the main surprises was the unveiling of a massive accropode, which was placed by the site Welfare Unit so that everyone could admire their real size get a picture with them. “It has been really fun", explained Daniel, aged 9, "and I am happy to finally see where dad works and also to meet other children whose parents work at this project.